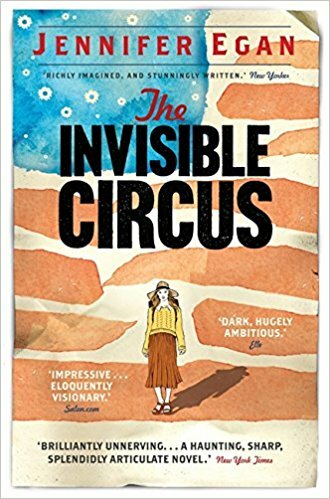 Set in 1978, the political drama and familial tensions of the 1960s form a backdrop for the world of Phoebe O’Connor, age eighteen. Phoebe is obsessed with the memory and death of her sister Faith, a beautiful idealistic hippie who died in Italy in 1970. In order to find out the truth about Faith’s life and death, Phoebe retraces her steps from San Francisco across Europe, a quest which yields both complex and disturbing revelations about family, love, and Faith’s lost generation. Although I am aware of this author, this was the first novel by her that I had read. I enjoyed the beginning of the novel a lot and I liked the tense relationship between Phoebe and her mother. Phoebe is still devastated following the death of both her sister and her father, and she struggles to fill the void they have left. She is detached from others and also struggles to get on with her mother and brother, who have more successfully moved on in different ways. I thought this opening part of the book worked really well as we get a sense of Phoebe’s grief and her detachment from her family. I really felt for her, and found myself sympathising with her a great deal and could relate to her desire to be reconnected with her sister in some way. Eventually, she decides that the best way to do this is to follow in the footsteps Faith had travelled, when she went around Europe in the months leading up to her death. Using the postcards that Faith had sent her while on her travels, Phoebe starts her journey. It was at this point that, sadly, the book lost its way for me. There just wasn’t really enough here to keep me interested, and while I had some interest in what happened to Phoebe, I didn’t feel so invested in Faith’s story. I don’t think this was helped when Phoebe got rid of Faith’s postcards – these had been interspersed throughout the start of Phoebe’s travels and I found this other voice refreshing and was disappointed when this stopped quite abruptly. By the end of the novel I must admit I was struggling to stay interested, and found Phoebe’s journey became tedious and the novel fell flat. However I did like earlier parts of the novel and the overall writing style, so I would look out for more of Egan’s books. But sadly, this one didn’t really do it for me. Yes I saw that it had been made into a film, and even though I wasn’t mad on the book I think I would like to see it! Thanks for visiting.